Tim brings 30 years of strategic, product and technical leadership to his current role including experience deploying the large optical networks that serve as today’s global telecommunications backbone and the method by which data is transported globally. Prior roles have including executive positions at Atrica (now Nokia-Siemens) where he developed the roadmap for the company’s successful Ethernet switch products and Calient Networks where he launched an industry-first photonic switch deployed widely in the largest datacenters today. Tim began his career working across software, hardware, testing and systems design where he built and led teams in their effort to develop industry-leading infrastructure products. His patent for client/server based architecture for a telecommunication network was developed in the early 2000s to address apps deployment support over large-scale Internet-enabled communications networks. 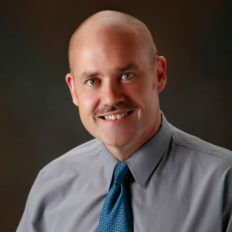 Tim has a Bachelor’s degree in Electrical Engineering from Purdue University and studied for a Master’s in Business Administration at Auburn University.